Alzheimer’s disease, dementia, and other conditions affecting a person’s memory and mental faculties are overwhelming and stressful for those living with the disease, as well as their care providers. The good news is that new technologies and innovations can help ease the burden of both residences and caregivers. These advances can help reduce anxiety, establish a routine and a sense of normalcy, and more importantly, improve the quality of life for everyone involved. 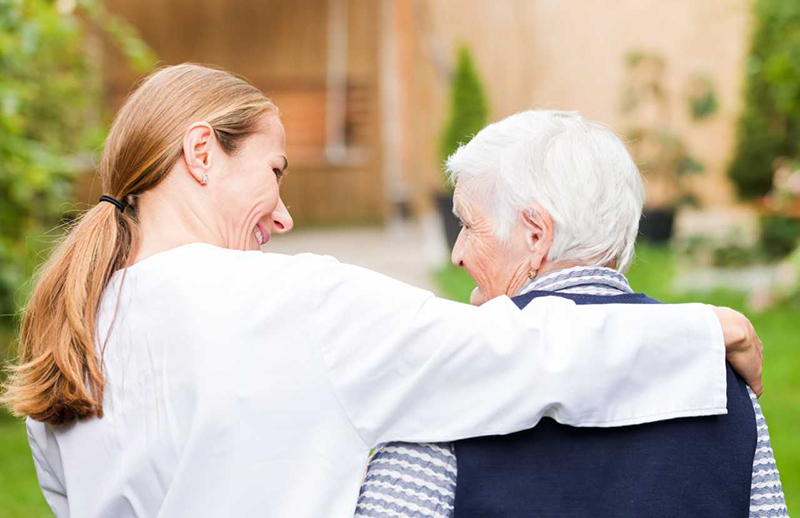 Ensuring the mental health and well-being of residences and residents, and their care providers to some extent, are one of the key aspects of providing top quality senior care. As a senior care provider it is important to be open to new innovations, so you can better provide for the needs of seniors under your care and at the same time, boost the efficiency and productivity of your staff. Over the last few years, various innovations in memory care have been made and developed by experts. Many of these innovations and technologies are being used today by CareOne facilities in New Jersey, Massachusetts, and Virginia. Let’s take a look at some of them. For people with dementia, Alzheimer’s disease, or memory impairment, it’s essential to provide them with a living environment promoting optimum cognitive and physical functioning. Giving them autonomy and a sense of normalcy will help improve their quality of life and enable them to better cope with their condition. One way to do this is to set up specialized “neighborhoods” for residents with memory impairments. A great example of this innovation can be seen at CareOne’s Harmony Village at Paramus. The Harmony Village features 124 private apartments and six distinct neighborhoods for residents with varying stages of memory impairment. The facility provides residents with a safe and engaging assisting living community. In line with CareOne’s core values, the facility is staffed with employees who are specially trained to work with residents living with memory impairments as well as their families. This environment encourages personnel to create personalized care plans which are designed to maximize the independence and improve the quality of life for senior residents. Sensory Gardens, also known as memory gardens, can be part of a treatment plan for people with Alzheimer’s who are very restless or agitated and who like or need to walk around a lot. A well-planned area can provide residents with exercise and therefore give them an opportunity to relieve tension, frustration, and aggression, provide personal space for reflection and privacy, provide an area to accommodate a different social environment and provide additional stimulation with colors, smells and sounds of wildlife. No matter how small the space available, or how limited an individual’s or organization’s financial resources, a lot can be achieved with one or two keen participants, and the results can be enjoyed by those that provide care as well as residents. Harmony Village in Paramus, features a beautifully landscaped courtyard, or sensory garden, for residents and their loved ones to enjoy. People with memory impairments often lose the ability to keep track of time. As their condition progresses, it’s vital to provide them with routine and structure to help reduce their anxiety and confusion. Alzheimer’s and Dementia Clocks are specifically designed for people with memory impairments to help make it simpler for residences to keep track of dates and times, easing their confusion. Large numbers, day of the week and time of day aid in helping seniors establish a routine by showing them that it is, in fact, the time and date people say it is. The use of Multisensory Environment Therapy (MSE) is common for treating people with memory impairments. MSE therapy enables senior residents to take ownership of their own therapy. Using lights, sounds, textures, and aromas, it stimulates a person’s different senses, helping them relax while giving them a sense of control. Also known as Snoezelen, controlled MSE therapy has been found to be effective in helping seniors with memory impairment calm down and manage difficult emotions. It also helps them better cope with the anxiety and confusion their conditions bring. Most importantly, this innovation makes them feel more in control by providing them with tactical and visual stimulation. Paint: As eyesight fails, it not only becomes difficult to see the difference in color, but also seniors with memory impairment cannot see the difference in colors on the blue-violet spectrum. It’s important to make sure there is a contrast in color from floor to wall and other surfaces so a person in memory care can easily differentiate between them. Lighting: Sunlight helps residents regulate their circadian rhythms, which can alleviate sleep disorders, sundowning and seasonal depression. An alternative to natural lighting is the implementation of LED lights that automatically adjust hues depending on the time of day. Installing a lighting system that changes throughout the day helps residents regulate their sleep cycles. The color temperature or hue of LED lights that aids with sleep are typically between 2,700K – 3,200K. Motion sensor lights installed in bedrooms and bathrooms are great design features that provide residents with comfort, safety and a sense of independence during the night. Carpet: Depending on the layout of the facility, carpet can change from floor to floor and space to space. In most instances, memory care, assisted living, and/or independent living departments have separate floors or wings within that community, but share common spaces. Design elements, such as carefully selected carpeting, can help residents differentiate between a particular wing, floor or common space. People that are living with memory loss often have issues with depth perception. When selecting a carpet, consider the color contrast: make sure that color contrast is not too high to ensure residents do not feel unbalanced. A simple subtle patterned carpet is a great way to add an enhanced design element while still being functional to the residents. Custom Doors: The majority of residents with memory impairments have a hard time creating and accessing new memories, while old memories, normally, are more easily accessible. Since many community members with memory impairments previously lived in the same home for twenty plus years, the front door to their former homes are easily recognizable. That being said, custom replica doors are a great way to help residents recognize their apartment door within their new community. At CareOne, providing residences with innovative care services designed to improve the seniors’ quality of life is our commitment. Utilizing these modern-day technologies, coupled with a deep understanding of living with memory impairment enables a team to create facilities that empower our patient’s independence while easing the transitional periods of living with Alzheimer’s or dementia for both our residents and their families. If you have loved ones who are in need of innovative and revolutionary memory care, feel free to get in touch with our team to discover ways CareOne can help you and your loved ones live life to the fullest. Interested in learning more about the senior care industry for a family or loved one? Visit the Daniel E. Straus blog for more information.